Mon-Wed: Feb. 25; 26; 27; & Mon. March 4. +More classes & activities coming soon! Tuyen is a visual artist who uses readily available materials to create her art, ranging in scale from small sculptures to large-scaled, site-specific installations. She enjoys the fact that art making can be accessible to anyone because anything can be recycled and transformed into art. At 3PM, bring your young children to the SPA main floor gallery, sit on the floor on a blanket inside of a collage "tent" installation, and listen to a Valentine’s Day story. Following the story, you are welcome to create several Valentine’s Day cards for your family members. Bring personal photographs if you would like to use them on your Valentine’s Day collage-style greetings. Explore color, shape and line with your toddler through hands on art making activities that will awaken your senses and bring out the child in you with your little one. These Saturday workshops will provide opportunities for color mixing, painting, printing, collage and assemblage making. All materials are non-toxic and will be provided. Handouts will also be available so you can continue the art making at home if you'd like. No experience necessary, just a willingness to play and explore the magic of creativity and art making with your little one! Spaces are limited; please call to enroll no later than Feb. 15. Tina Logan is an educator and artist who received her BFA in art education in 1987 from Syracuse University, and has been teaching ever since. She currently teaches at Albert D. Lawton Intermediate School in Essex Junction Vt. but also has 20 years of experience teaching elementary aged artists as well. Tina has served as past president and secretary for Vermont Art Teachers Association and participates on many boards and committees that promote the arts and help bring the arts into the community. As an artist, she draws inspiration from her family, students, garden and community. Create assemblages out of recycled materials and cardboard, or make mobiles and structures from wire and found objects. The SPA exhibits are often a spring-board for some of the projects in Art’s First. Mix colors to create a painting or try your hand at making mono prints. These Saturday workshops are designed for you and your pre-schooler to come and explore different materials to make whimsical art that connect to our current and upcoming SPA exhibits. Materials will be provided. Come join us for some creative fun! No experience necessary, just curiosity and playfulness! Spaces are limited; please call to enroll no later than Feb. 15. See above for information about Tina Logan. Create assemblages out of recycled materials and cardboard, or make mobiles and structures from wire and found objects. The SPA exhibits are often a spring-board for some of the projects in Art’s First. 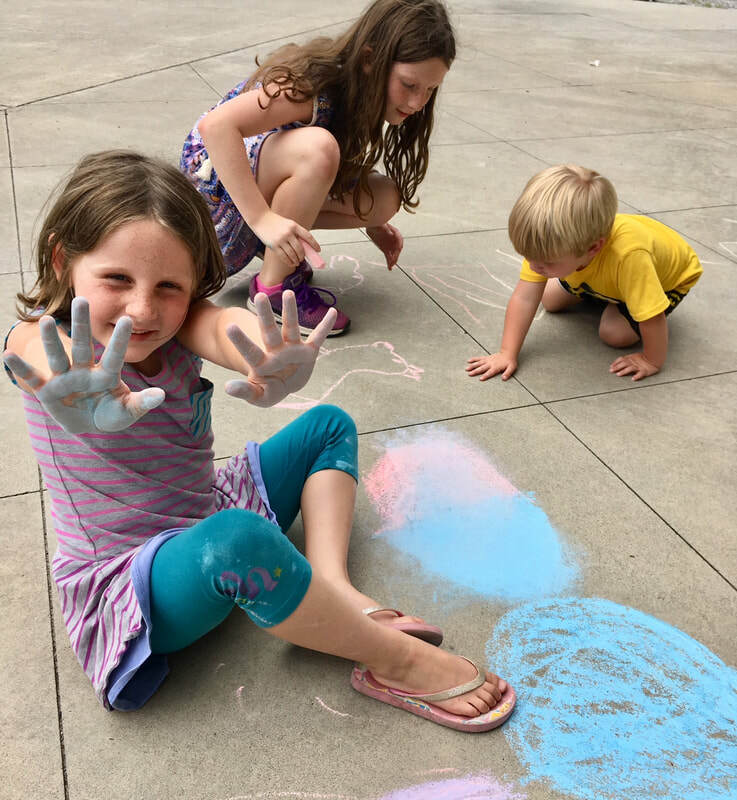 These Saturday workshops are designed for your 7-11 year old child to come and explore a variety of different materials to make whimsical art that connect to our current and upcoming SPA exhibits. Materials and will be provided. Come join us for some creative fun! No experience necessary, just curiosity and playfulness! Spaces are limited; please call to enroll no later than Feb. 15. Georgia Landau has been a craftsperson for more than 40 years, creating figurative art in a variety of media. She has taught clay and other media with adults and children for the past ten years, and is one of the founders of both the Artisans Hand and Studio Place Arts. Learn about the plastic pollution problem and join the creative reuse movement through puppetry. We will create 2-D puppets from recycled materials. We will use light and shadow in new ways. Ages 7-10 yrs. Shannon Lee Gilmour completed a studio residency program at SPA two years ago and she has been a frequent instructor for the “Art’s First” programs for young artists. Shannon’s use of post-consumer plastics to create the plants underscores her dedication to removing plastics from the waste stream and using them for making art. Explore color, shape and line with your toddler through hands on art making activities that will awaken your senses and bring out the child in you with your little one. These Saturday workshops will provide opportunities for color mixing, painting, printing, collage and assemblage making. All materials are non-toxic and will be provided. Handouts will also be available so you can continue the art making at home if you'd like. No experience necessary, just a willingness to play and explore the magic of creativity and art making with your little one! Spaces are limited; please call to enroll no later than Mar. 29. Create assemblages out of recycled materials and cardboard, or make mobiles and structures from wire and found objects. The SPA exhibits are often a spring-board for some of the projects in Art’s First. Mix colors to create a painting or try your hand at making mono prints. These Saturday workshops are designed for you and your pre-schooler to come and explore different materials to make whimsical art that connect to our current and upcoming SPA exhibits. Materials will be provided. Come join us for some creative fun! No experience necessary, just curiosity and playfulness! Spaces are limited; please call to enroll no later than Mar. 29. Create assemblages out of recycled materials and cardboard, or make mobiles and structures from wire and found objects. The SPA exhibits are often a spring-board for some of the projects in Art’s First. These Saturday workshops are designed for your 7-11 year old child to come and explore a variety of different materials to make whimsical art that connect to our current and upcoming SPA exhibits. Materials and will be provided. Come join us for some creative fun! No experience necessary, just curiosity and playfulness! Spaces are limited; please call to enroll no later than Mar. 29. Youths (14-18 yrs. ): $35 ea. At 11AM, Bring your young children to the SPA main floor, sit on the floor on a blanket, and enjoy a story that relates to the “Deep Blue” exhibit, which involves artwork about the sea. Following the story, you are welcome to stay for a short and informal talk about the art show with your children. Children will be provided with sketching materials if they would like to sketch while they are visiting. Walk-ins Welcome – Free Inspiration! Youths (14-18 yrs. ): $30 ea. Send us an email with the participant's name, address and phone number. This fun-filled camp will discover the artist in you. Inspired from the main gallery show EYE SPY, young artists will spend the week creating works of art that play with the theme of searching, finding, creating and discovering. Young artists will create paintings and sculptures that will fool and capture the eye! Pria Cambio has been an art instructor for more than 50 years, including instruction in the public schools of Glastonbury, Connecticut; the head of the Art Department at Community College of Hartford, Connecticut; and at various educational and art institutions in central Vermont. + More classes & activities coming soon! *NOTE: Youths ages 16 and older may take Adult classes; a $10-$20 discount is provided to students 16-19 years of age for Adult classes.